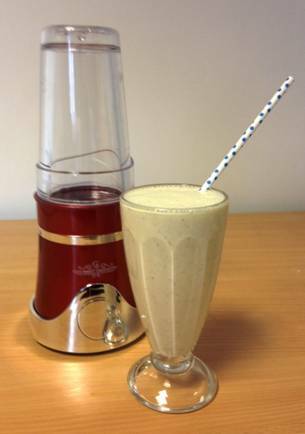 Top Tip: Sprinkle some porridge oats on top of your milkshake to decorate. 1. Add all ingredients to the milkshake cup. 2. Secure the interchangeable motor blade to the cup. 3. Turn the milkshake cup upside down then twist onto the motor base unit. 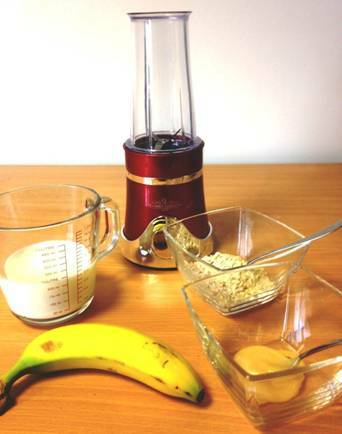 Blend the mixture to a smooth consistency for 5-10 seconds. 4. Take the milkshake cup off the base, turn it the right way up, twist off the motor blade and then serve. 5. If you are not serving immediately keep the milkshake fresh by using one of the plastic cup lids and popping it into the fridge.